As per our reports and sources, Apple, the premium smartphone maker might be planning to launch three new smartphones in this year. Hopefully, those devices would be Iphone 7s, iPhone 7s plus and iPhone 8. Well, we don’t have any information regarding the features of iPhone 7s and iPhone 7s plus. But fortunately, we have managed to get some important detail regarding the display of the upcoming iphone 8. 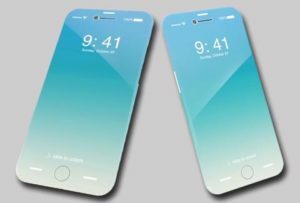 It is rumored, that iPhone 8 will be coming with an edge to edge full OLED display panel. As per Barclays, these three upcoming Apple smartphones will feature True Tone Display. Well, iPhone didn’t use True Tone display in any of its previous smartphones. But the True Tone display was used in iPad Pro. It actually, uses advanced ambient light sensors which help in adjusting the intensity of the color to match the temperature in various environments. For a better understanding, here is an example! Let’s say; you are standing out on a cloudy day, the True Tone display will automatically adjust the colors of the display to match with the cloudy environment. So that you will have no issues while using your iPhone in any type of environment. Well, if you look closely, the True Tone display is quite similar to Night Shift display of Macbooks. As per the sources, the True Tone displays will be supplied by an Austrian manufacturer AMS. So, what’s your take on the True Tone Display feature? Do you feel it is necessary to include in the upcoming apple products? Let us know in the comments section. Must Have Apps For Shopping Fanatics !